When it was suggested some months ago that I do a review of supermarket lunches, I have to admit it wasn’t something I was going to relish. 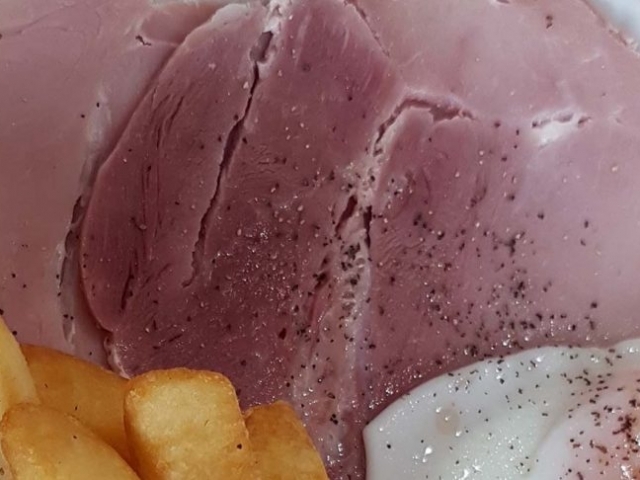 However, sit tight and read our account of the Sainsbury’s lunch at their Sittingbourne store, and their version of the British classic: Yorkshire ham, eggs, and chips! Admittedly, up until a couple of weeks ago, I had never eaten at a supermarket cafe – the nearest I came to was at the M&S food hall cafe and then lunch at Morrison’s in Sittingbourne. An ‘eat-in’ lunch is not something I generally associate with a grocery store, so I find I myself in uncharted territory and am about to be proven wrong – and not for the first time this week!!! Recommended by a friend as a good starting point, my first supermarket cafe review is Sainsbury’s in Sittingbourne. Arriving at lunchtime there is already a small line of hungry shoppers waiting to be served by a slightly nervous looking trainee. The patient line snaking around the counter to the checkout vaguely reminded me of a school dining room, albeit without the watchful eye of the ‘dinner lady! It gave me the time to have a good look at the menu. All the usual classics from fish and chips to a ‘full English’ were on the menu, and helpful for those who are looking to watch their weight, calorie details are listed beside each. I had already made up my mind that I would be having the Yorkshire ham, egg, and chips dish. A heart stopping 755 calories marked the spot on the menu. I dutifully placed my order along with a flat white coffee. 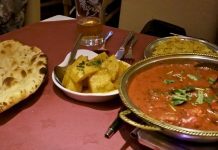 My partner arrived back just as our lunch was being served by our ‘dinner lady’ – replete with a hairnet and that air of harried importance. After dutifully dispensing ketchup and English mustard to us, we got to the matter at hand. The first thing I noticed was not the presentation (it generally is, but in a supermarket cafeteria, you can’t really expect art on your plate), it was the two perfectly fried eggs, runny and cooked to perfection. Sainsbury’s Yorkshire Ham graces the plate and it’s a perfect choice – tasty, moist and a fair-sized portion I’d say – 2 slices, perhaps 3. 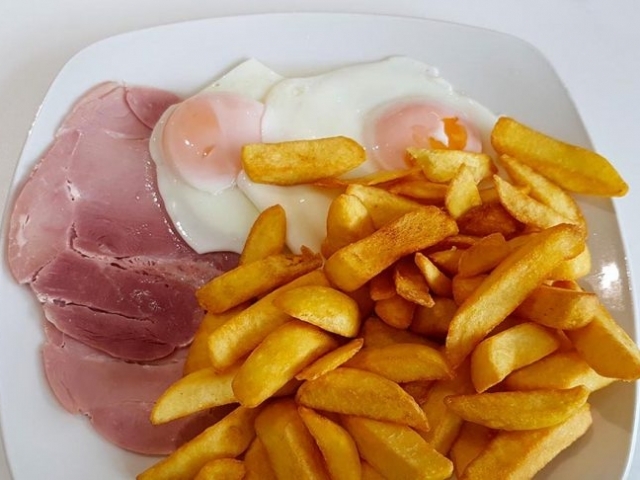 Chunky chips – that were browned perfectly – are really the only ‘plate partners’ for Ham & Eggs – that and a little mayo, ketchup or mustard of your choice. Dipping my chunky chips into the runny egg, adding a little ham and then a spread of mustard… and down it goes. Delicious! 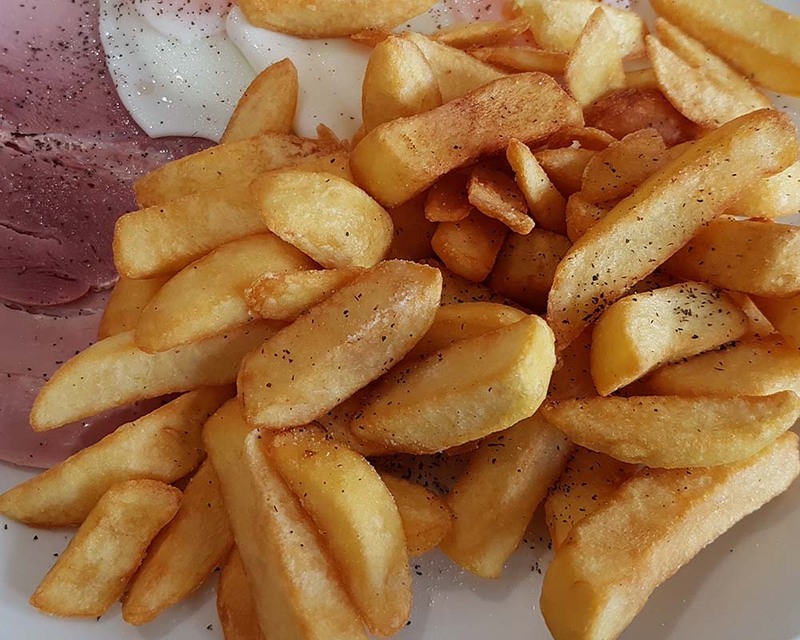 Sometimes it’s the most simple dishes that are the most enjoyable, and Sainsbury’s Yorkshire Ham, Egg & Chips is one of them! A few weeks previous I had eaten the Morrison’s version of Gammon Ham, Egg, and Chips. I was not impressed and it came nowhere near to the flavour of the Sainsbury’s version, instead overcooked eggs, very thick warm gammon and mediocre chips. (C’mon Morrisons you can do better!). 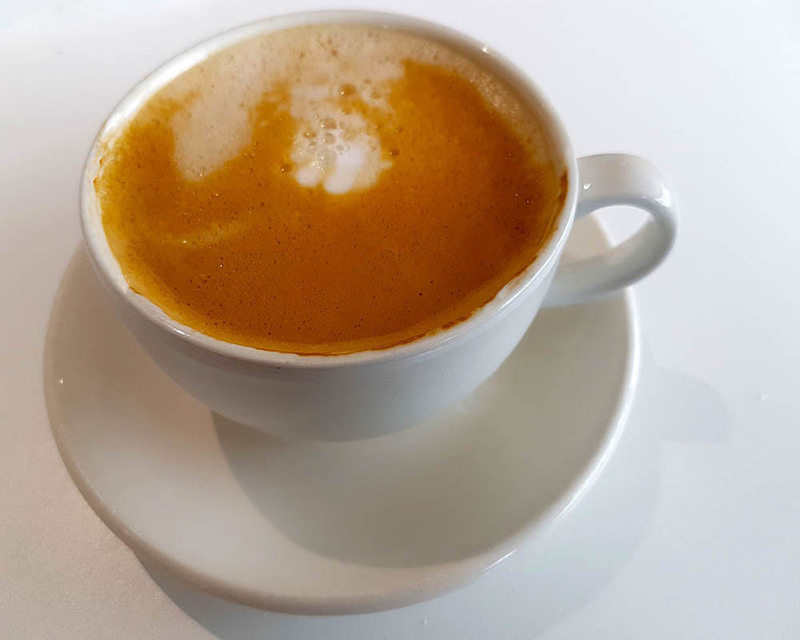 Now we’re not saying the Sainsbury’s cafe is where you want to take your partner on your next ‘hot date’, but if it’s lunchtime and you’re in need of a little sustenance, Sainsbury’s cafe is somewhere you can rely on. 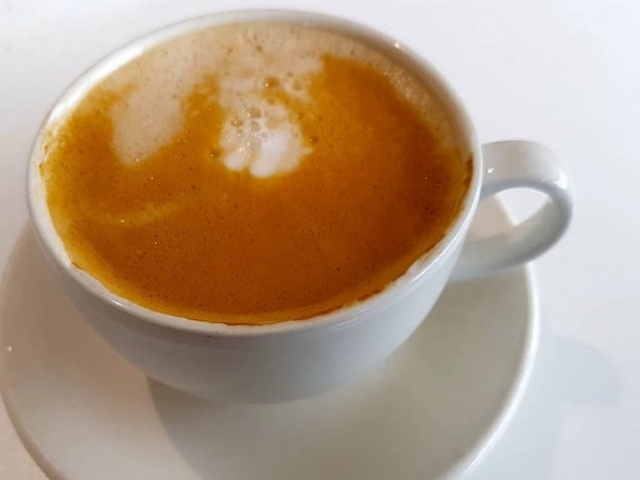 It’s self-service, though you’ll be treated to a little table service if you’re ordering something hot, and a few friendly smiles from the wait staff to boot! 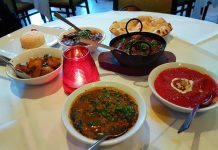 We have not tried other items on the menu so can’t really speak for them, however, the menu has a selection of classic English meat and fish dishes, baked potatoes (with tons of toppings), omelettes and more. So next time you head out to do the weekly shop, why not try it at lunchtime, and kill two birds with one ‘stop’, so to speak! 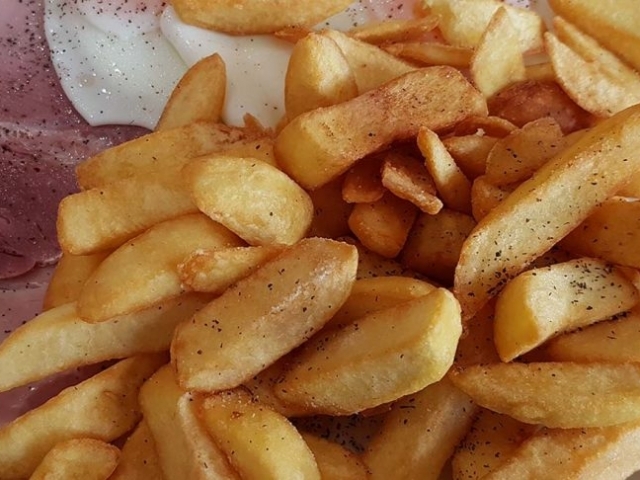 Sainsbury's offer their shoppers and visitors a good lunch menu selection, and their Yorkshire ham, egg, & chips is a firm favourite with lunch-goers.